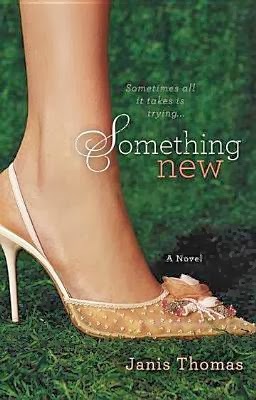 Goodreads: If you stop trying new things, you might as well just stop. Ellen Ivers has it all: a nice house, great kids, and a husband who loves her no matter how much she’s let herself go. There’s just one problem: Ellen is completely, utterly bored. Maybe it’s a mid-life crisis, or maybe it’s just time to make a change. Ellen starts taking care of herself and decides to start trying new things. As the pounds melt away and she begins to feel more comfortable in her own skin, Ellen’s cousin prompts the former writer to enter a blog competition. Kritters Thoughts: A woman who has been married for a long time with three kids and realizes that her life recently has revolved around her husband and the kids and through a stranger she realizes that she needs something for herself. Although, I am not at this place in life, I could relate to the character and was able to really take away some things and reflect. With such an honest set of characters, it was interesting to see where the author would take them and how they would react to each thing, but I absolutely adored the raw honesty that she put in this book. This one definitely made me feel awkward a few times and I may have said some choice words to the book, but it never made me want to give up on her. I wanted to know what she would choose in the end.